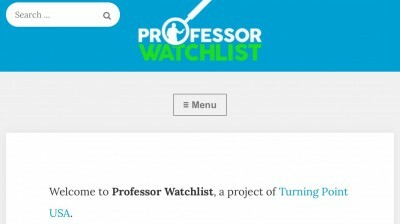 Four New York City colleges are among the 100-plus schools listed on a new website that catalogs professors who allegedly “advance a radical agenda.” The website, called Professor Watchlist, includes the names, photos, and sometimes the contact information of more than 200 professors nationwide. The watchlist was created by conservative nonprofit Turning Point USA, launched last week, and has reportedly been in the works for six months. Its goal is to “expose and document college professors who discriminate against conservative students and advance leftist propaganda in the classroom.” The list includes one professor from Columbia University, two from John Jay College of Criminal Justice, and three NYU professors. Brooklyn College is also included in the website’s school directory, but none of its professors have been included on the list. Julio C. Pino, a history professor at Kent State University in Ohio, told the Times that the website “is a kind of normalizing of prosecuting professors, shaming professors, defaming professors.” Other professors who have been listed on the site have called it a threat to academic freedom. Kirk and Lamb maintain that the website doesn’t threaten professors’ safety or limit their freedom of speech. “Putting news sources into an easy to search database does not endanger the safety of anyone,” Kirk and Lamb told Local. Lamb compared the watchlist to websites like Campus Pride Index, a national list of LGBTQ-friendly colleges and universities, and said it was one of many resources students can use to evaluate colleges. “We’re going to make it easier for students to know what’s going on,” Lamb told the Chronicle. In order for a professor to be placed on the watchlist, Lamb, who manages the website, needs to be presented with proof “documented by a news source or otherwise documented” by a syllabus or slides from a class presentation. But the documented proof—which the site presents as objective evidence of leftist indoctrination—is often distorted to suit TPUSA’s narrative. John Jay professor Charles Strozier is included on the list for an essay he wrote in the Huffington Post titled “How Climate Change Helped ISIS.” According to Professor Watchlist, he argued that “law-abiding citizens become Taliban terrorist extremists due to climate change.” Strozier’s essay, however, argues that climate change contributed to a drought that “stroked simmering anger at Assad’s dictatorship” in Syria. And Mark Crispin Miller, a media, culture, and communication professor at NYU, was included on the list because he “warned that President Bush was spreading propaganda in order to form a theocracy in the United States” and for allegedly comparing Bush to Hitler. Miller denied the website’s claim that he compared the two. “I’d also like to know exactly what [Kirk] means by ‘anti-American values, since I’m a firm believer in the Bill of Rights, especially committed to the freedom of the press, and to electoral democracy,” he told NYU Local.